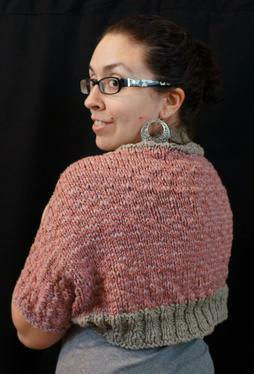 This simple striped shrug is pure comfort knitting. 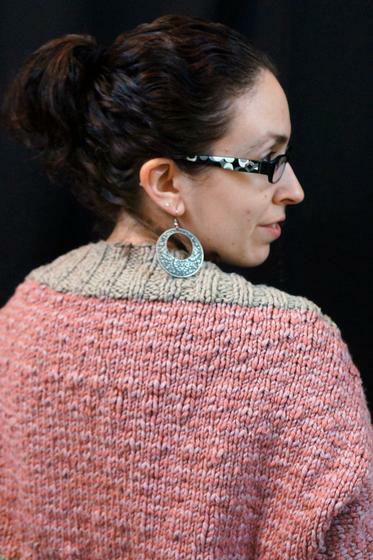 The thick and thin texture of Billow yarn looks great instockinette. 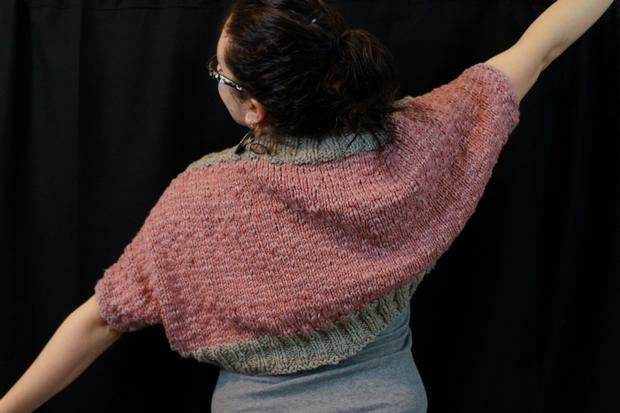 Thin stripes of two similar colors combined with the yarns texture gives the main body of the shrug a slightly tweedy appearance. 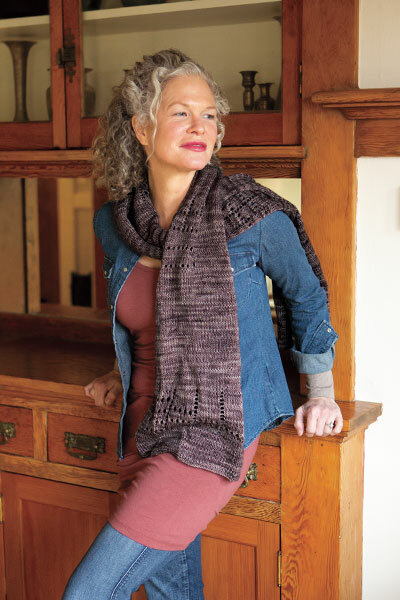 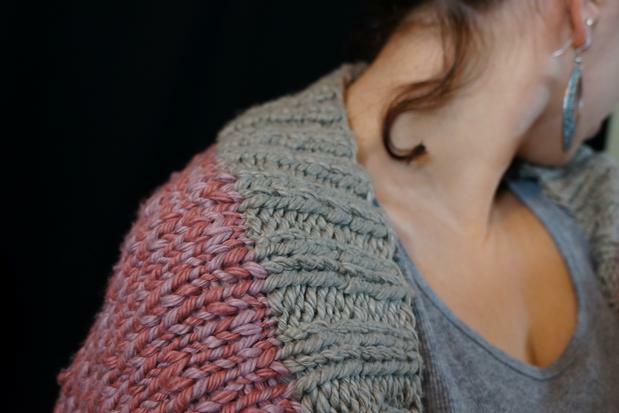 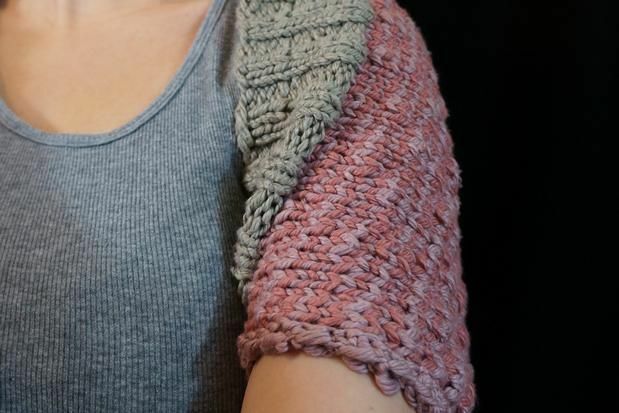 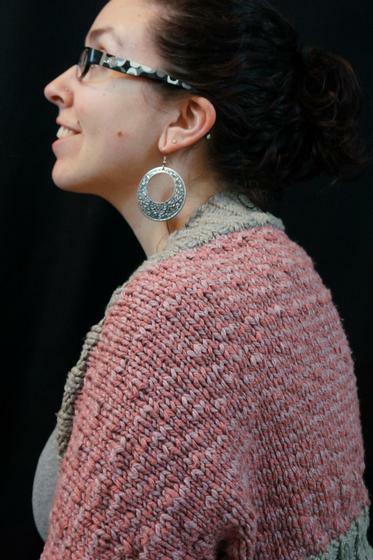 Because Billow is a 100% cotton yarn this shrug has the appeal of a nice cozy, chunky knit without being too warm to wear indoors or as Spring approaches. 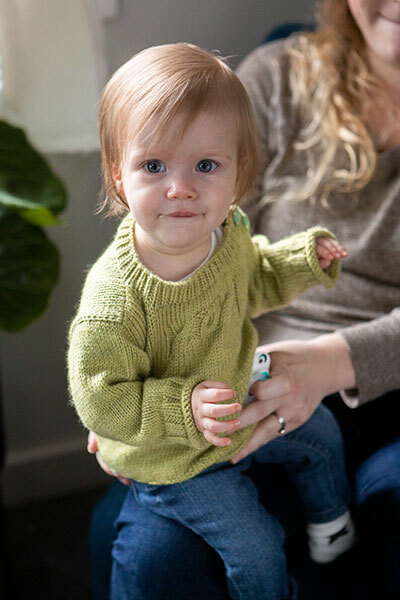 The pattern is written in four standard sizes with instructions for customizing your fit. 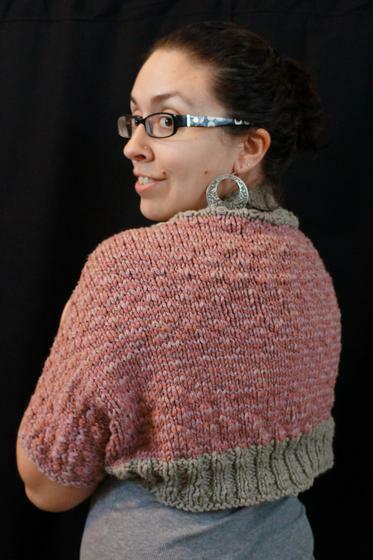 Width (crossback) measurement: 24 (25, 26, 26)"
Length (minus ribbing): 10 (11.5, 12, 13.5)"